Rutte ‘cautiously optimistic’ About progress Brexit negotiations. Prime Minister Mark Rutte is “cautiously optimistic” about the progress of the Brexit discussions with the British. He expects that next week, and steps must be taken if European leaders continue to review the departure of the United Kingdom from the European Union. 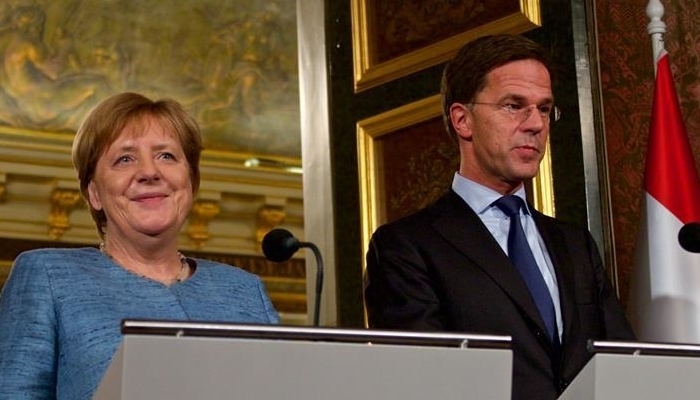 said Rutte in The Hague at a press conference with his German colleague Angela Merkel. Many of the problems, now resolved step by step, the prime minister said. and with it the significant issue of the border between Ireland and British Northern Ireland. Chancellor Merkel declared he was delighted that very intensive negotiations are taking place. EU leaders will determine, without the British Prime Minister, whether there is adequate cause to reach agreement on the Brexit. According to Barnier, the agreement is now 80 to 85 percent off, but the resolution of some critical points is still not clear. For example, a solution is being sought to see how products from the European Union can be quickly imported into the United Kingdom. Barnier states that the European Union is doing everything it can to let products cross the border with Northern Ireland in the least drastic way. It could be done, for example, on ferries or in ports and factories where the products come from. However, according to the EU negotiator, food safety inspections must take place at the border. According to Barnier, “day and night” is being worked on to be able to disassociate orderly on March 30, 2019. The Frenchman said that the Brexit has no “added value” and only knows losers. EU President Donald Tusk called all 28 heads of government to Brussels in mid-November to finalise the agreement at the highest level.